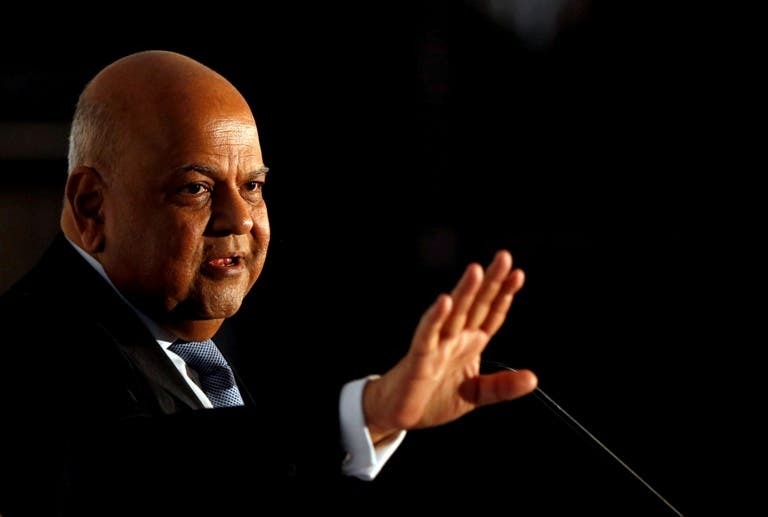 JOHANNESBURG – South Africa‘s government is discussing restructuring the debt of state-run utility Eskom but will only give details of what it plans to do next year, Public Enterprises Minister Pravin Gordhan said on Thursday, in comments which sent Eskom’s bonds tumbling. The cash-strapped power firm said this week that it wanted the government to take on R100 billion ($7.1 billion) of its debts, about a quarter of its total borrowings of R420 billion. It is also eyeing a steep hike in tariffs in 2019 from the energy regulator. “That brings me to the last question about debt restructuring. That’s an issue that is being discussed in government and some time in the New Year government as a whole will give you some idea of where we are going,” Gordhan told a news conference. He said “there is no possibility of haircuts,” declining to elaborate on which Eskom debt instruments could be restructured or the maturities of those instruments. Eskom’s bonds fell sharply in response to the talk of restructuring, with its 2028 dollar-denominated bond sliding as much as 2.3 cents to an all-time low. The rand also slipped, adding to earlier losses to fall 2 percent to session low of 14.1500 per dollar. The idea of moving Eskom’s debt on to government’s balance sheet has unnerved investors as it puts even more pressure onSouth Africa‘s sovereign credit ratings, already rated in sub-investment grade by two of the top three agencies. “Eskom poses a huge risk to the economy and the credit rating,” said independent energy analyst Mike Levington. “Moving R100 billion of the debt isn’t going to solve its systemic problems. It’s ability to raise capital is fast diminishing,” Levington said. 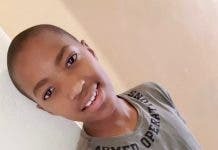 South Africa has experienced a week of nationwide load shedding (power outages), which Eskom has blamed on low coal supplies as well as maintenance of its ageing fleet of power stations (although there are some that say it is untrue that there are low coal supplies). That has taken the shine off data showing the economy had emerged from recession. President Cyril Ramaphosa is at pains to kick-start economic growth by luring foreign investment ahead of national elections expected in May next year. But the South African economy is set to grow well below 1 percent in 2018. Growth could be dragged lower next year if loadshedding persists. 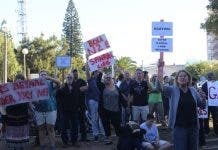 AfriForum today condemned Eskom’s request earlier this week to have R100-billion of the debt taken over by the South African government. According to Dr Eugene Brink, Strategic Advisor at AfriForum, corruption and mismanagement by Eskom and the state led to this situation.